If you are a business in San Francisco looking into the possibility of implementing corporate commuter shuttles, congratulations! You’re in the right place. 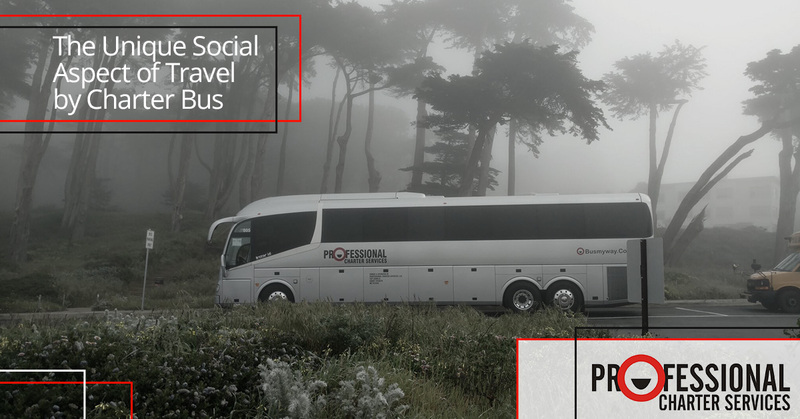 Professional Charter Services offers a corporate commuter shuttle service to companies in the Bay Area who are looking for a way to delight employees, cut down on congestion, and solve parking woes. But does it make good business sense to implement corporate commuter shuttles in your company? Let’s take a deeper look. Is recruiting top talent a top priority to you? Is your HR department constantly looking for techniques to attract the applications of the best and brightest of San Francisco? If there’s one thing for sure about the most intelligent echelon of the workforce, it’s this: smart people don’t like to be bored, and driving is boring. Yes, your most talented individuals are probably listening to audiobooks or doing mental arithmetic in their heads on their daily commute, but what would they be doing on their way to work if you freed up their brainpower even more by giving them the bonus of not having to drive? The thought of that could have potential job seekers salivating over the possibilities. Every vehicle on the road has a certain probability of having an accident, and with the number of automobiles driving to work in an area as densely populated as San Francisco, accidents are a daily occurrence. Not only do your employees have to navigate around those accidents on a daily basis if they’re driving to work, they’re also potential victims of accidents themselves. Having one of your workers get in a bad car accident is not something you want. It means lost time and productivity, increased insurance claims, and potentially needing to fill the position with a temp or new hire. People generally tend to be safer in a shuttle bus, because even if they do get into an accident, there’s typically a lower incidence of injury and loss of life to passengers on the bus than to occupants of an automobile. Every employee who has to drive to work must pay for all the costs related to owning and operating a vehicle, including the price of the vehicle purchase, fuel, insurance, wear-and-tear, tolls, and parking fees. We all know that in San Francisco, none of that is cheap. When you allow your employees to switch to riding the shuttle to work, you’re saving them all the miles per year that they would have driven, resulting in a net effect that they can either consider to be a salary boost or a savings boost. It’s not hard to see how your employees will be delighted with this. To get started with your shuttle service from Professional Charter Services, simply contact us from a quote. It’s easy to work with us, and you’ll love the high-quality fleet of climate-controlled, wifi-equipped shuttles that we offer so that your employees can travel to work in comfort. Plus, we offer various sizes of shuttle buses, allowing you to choose the size and type that’s right for your route. No matter where your employees live, we can help. Contact us today.